There were once a boy and a girl who lived in a cottage. They were nice fair people. They had a typical life. Edia was the older sister and Volio the younger boy. A Secret Agent snuck in. Nobody saw him. Then Butey snuck in (at night) with me. We played games until Mom and Dad woke. We were grounded for a year. One of the kids got killed in a minute! That one became a phantom! He went for the girl and they found a golden house and lived for 20 years. There once were a boy and a girl who lived in a town. The boy got cursed into a monster. He was a ghost! So he protected a haunted castle. One day a good witch came and she turned him back to normal. He quickly ran away from there. He was quick and sneaky. He was on the good team.Then Wallop (the boy’s name) got a drink, broke the glass and spilled the family cup! Then he was grounded. He was happy anyway, because he had his family and friends. There once were a boy and a girl who lived in a forest. The girl’s name was Eris, the boy’s name was Wallop. They went out every day to cut trees. They made a home. The boy and the girl were fairies! They were turned into faeries when they were 2. They found themselves at a Queen’s castle! They bowed and she welcomed them there. I was happy we played bowling. I knocked all the pins. Then they both got grounded. There once were a boy and a girl who lived in a house in Mexico. It was cool in the house! I played in the backyard. Then I went inside and saw my sister Shift making a mess! Then I told mom. That they made a terrible mess! But she didn’t listen at all! Then I told my dad. He told me I was ready to be a servant. I ran quite briskly but got super tired. I went to the beach with my friend. My special friend. 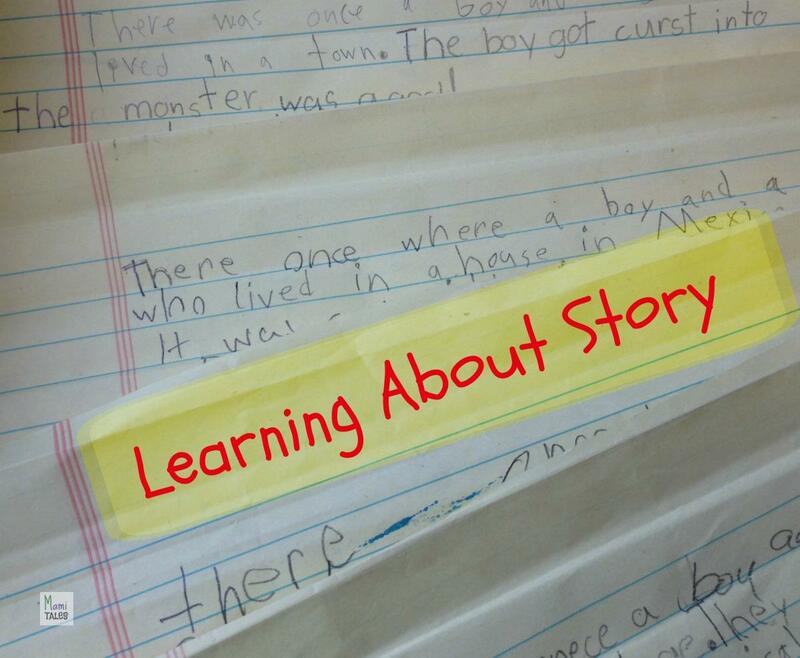 By doing this little exercise the kids learned that a story needs to have a structure to be able to make sense. Nonsense is very funny, but it is very hard to follow as a story. One of them was very interested in justice and reprimands (everybody got grounded), another one had a fantasy-horror streak (with phantoms, ghosts, and such), then there was the fancy one with fairies and wondrous worlds, and finally the action, adventure, spy kid. It is pretty clear that as they kept going they were all trying to write their own story, and adapted to what they were reading in front of them to make their stories fit. Next class we will be working on each of their stories individually to make scripts… and finally we can figure out a schedule to shoot their pieces! All in all, it was a great experience so they could see first hand about story and how important it is. Tagged Acting, Funny, Inspiration for Kids. I loved that group writing game when I was younger (great exercise for writing groups of any age). It’s a fun way to get kids writing. I look forward to seeing how the kids progress with their stories. Thanks for reading, Maria! I’ll keep recording what we do here, so keep posted each week! This is great, in my kid’s school, it’s all a part of their writing process; they write, illustrate, edit and act it out! Anything that fosters creativity is A+ in my book! That’s fabulous that your kids get that at school! I do agree that fostering kid’s creativity is paramount 🙂 Thanks for stopping by! So glad you’re enjoying the series!! Do come back next week to keep reading my little pupil stories.